The next film from the Great Movies – 100 Years of Film book’s recommendation for my screening of Last Tango in Paris, is this rather somber film, that is based on the true story of its author, Gavino Ledda. 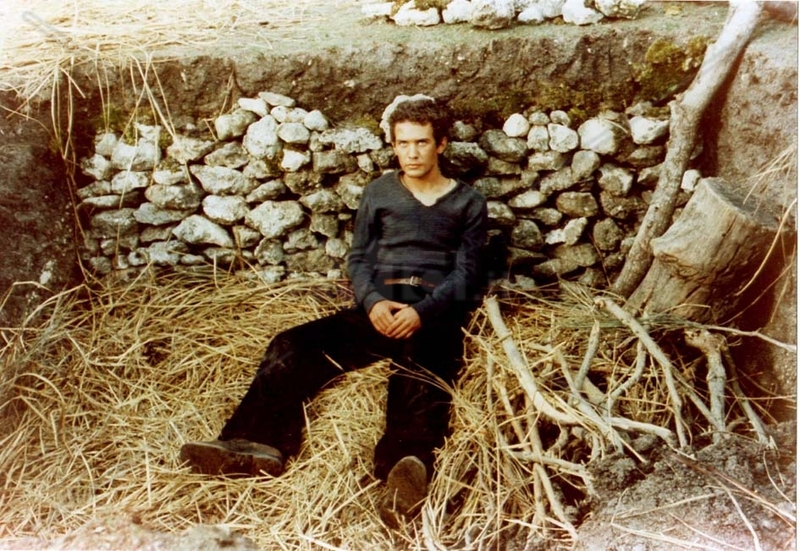 Often dark, the film follows Gavino (Saverio Marconi), a young Sardinian, trying to be his own person, to live his own life, his way, but growing up in his tiny village, with his domineering, and often brutal father (Omero Antonutti) makes things more than a little difficult for him. He’s embarrassed at school, as his father yanks him publicly from his class, and we are privy to the thoughts of his schoolmates (and other characters throughout the film) as they are thankful that it wasn’t them this time, and how they hope that time never comes for them, but all seem aware that it will… It’s a seemingly inescapable fate in their village. 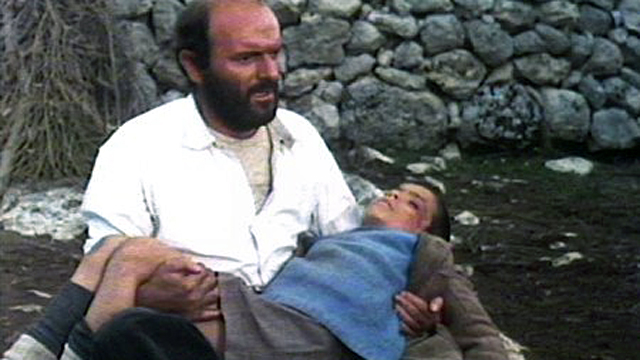 His father teaches him how to mind the flocks and the grove they work, raising him as best he can in his own footsteps, but beats poor Gavino at the slightest hint of fear or mistake. Gavino tries to find his own way despite all of that, enjoying his accordion, and having few and far between moments with the other boys of the village. He feels stuck in his existence, unable to escape, unable to slip out from under his oppressive and domineering father. The family struggles to survive the cold winters, the competitive pricing in the market for their goods; just trying to eke out an existence, and while it seems every single one of them wants more from life, no one dares speak out against father. He, in turn comes up with a new plan, selling off his land and grove, to invest the money with the plans on becoming a money-lender in a few years, and to do that, he breaks up the family, sending them all their separate ways to earn money for the family. He sends Gavino to the army to learn to become an electrician and radio operator. It is his father who has now provided him with his escape route. The army educates him, and we follow his learning curve, as he begins to read and write, slowly beginning to assert himself, making his own decisions, and as he becomes a full-grown, educated man, all of these things infuriate his father, further compounded by Gavino’s revelation that he is going to finish his education, and follow his own life, not one his father has set out for him. At times difficult to watch, and certainly not filled with the nostalgia some Western films contain when looking back on their childhood, this film, instead, follows one man’s struggle to be true to who he is, to get out from under the shadow of his father, and be his own man. An interesting watch… Have you seen it?